76 cm of textual records. Series consists of financial records for the International Malleable Iron Company (IMICO). Included in this series are stock inventories, financial statements, general ledgers, account and cash books, insurance register, and sales report. 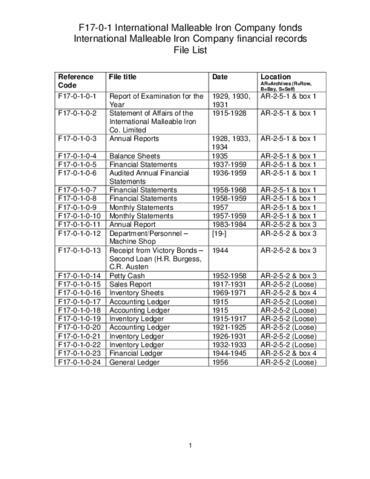 To view these records, consult file list F17-0-1 to narrow down your search. Order the desired boxes from the Guelph Public Library Archivist.